The experts added that the homoeopathic medicines act by stimulating the body's own defence mechanism and healing powers. The doses are given in sub-physiological quantities to children and adults alike. Hence, homoeopathy is safe for every one.Dr RN Prajapati, another homoeopathic expert said that medicines are effective in both acute and chronic conditions. 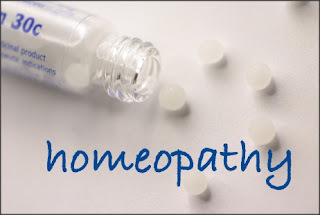 "Homoeopathy in fact, is the only system of medicine which offers curative treatment (not palliative) to a large number of chronic ailments which have been labeled as 'incurable' by other schools of medicine. In acute ailments also, homoeopathic remedies, if selected properly, give results faster then any other systems of medicine," Dr Prajapati added. These medicines are easy to administer, especially to children. Dr AK Singh, a homoeopath, said that homeopathic treatment is cheap in comparison to allopathic and Ayurvedic drugs. Homeopathy considers the complaints of a patient in totality. It views a person as a whole, as an integrated entity and not as a mere collection of body parts. So it treats the person as a whole too. Thus, one does not have to visit ten different 'specialists' for ten different body parts. So homoeopathy saves your money and health. Faces govt apathy:Even after emerging as one of the most reliable technique of treatment for various deadly diseases around the world, homoeopathy is facing tough time due to improper government approach. Dr Sehdeo Singh, medical officer in-charge of Rajkiya Homoeopathic Hospital, said that the appointment of staff and enhancement of infrastructure has not been done. "Since the time it was built, the hospital has three rooms, two doctors, one nurse and one peon and till now the staff is in similar state. The availability of medicines also becomes irregular at interval," Dr Singh added. Rajkiya Homoeopathic Hospital draws 100 to 120 patients every day. This number could become three-fold if it is given space in the main OPD of UHM. "We have sent several requests to both district homoeopathic officer and UHM authorities as well to shift our hospital in the main premises but no one paid heed. People do not know the hospital as it is situated at a nondescript spot," he added. There is an immediate need to increase the staff and infrastructure in the hospital as the patients are attracting towards homoeopathic treatment. Homoeopathy is not getting its due in the city as well as in the state. As per the experts of Central Homoeopathic Council of India (CHCI), there are more than 20,000 homoeopaths in the state. Their presence in government-run hospitals is not even one per cent. At a time when most government-run primary health centers and community health are performing below par due to a lack of skilled medical professionals, the services of these doctors are not being put to use due to lack of political will. April 10 is celebrated as World Homoeopathy Day in memory of Dr C F Samuel Hahnemann, the founder of homoeopathy, who was born on this day in 1755. Wow what a lovely post.I am felling glad on this post.Can you more sahre at here. Great post! These tips are very useful for maintaining Homeopathy. I will surely follow these tips.Thanks for sharing with site visitors.